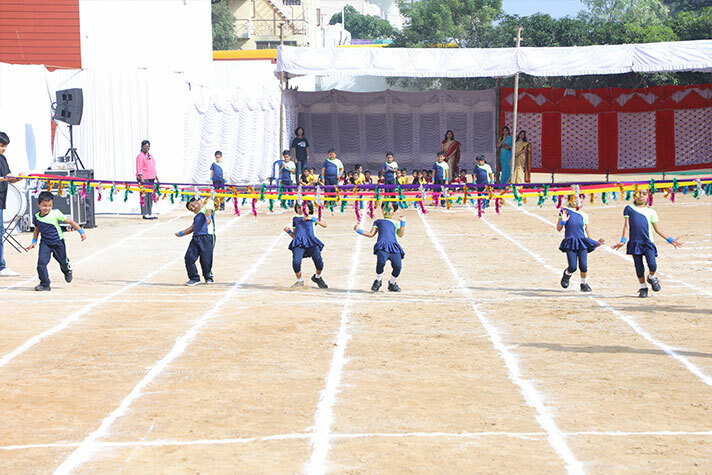 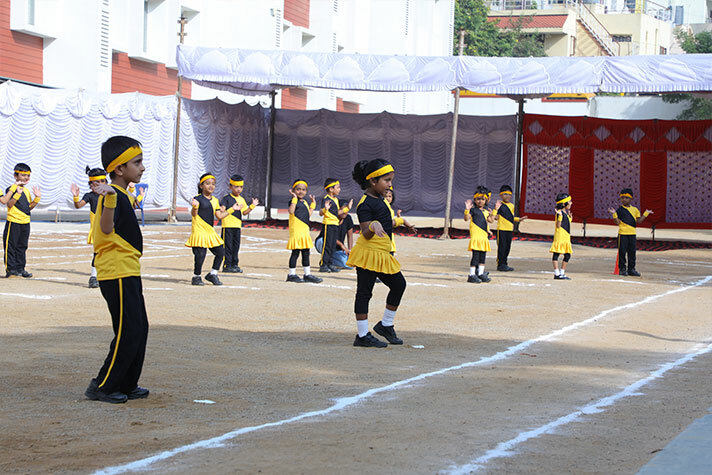 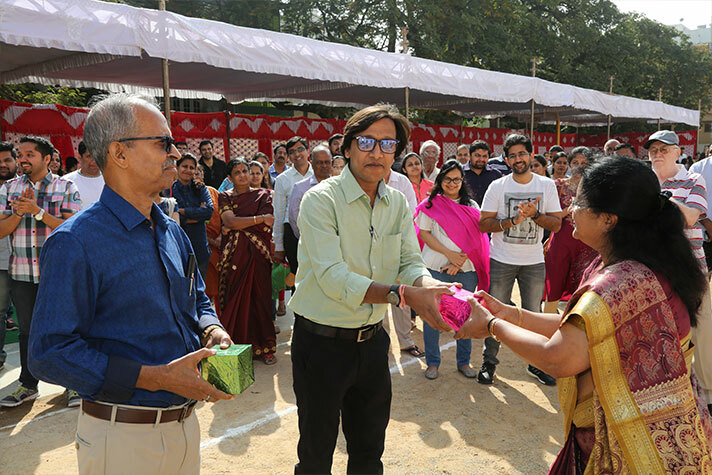 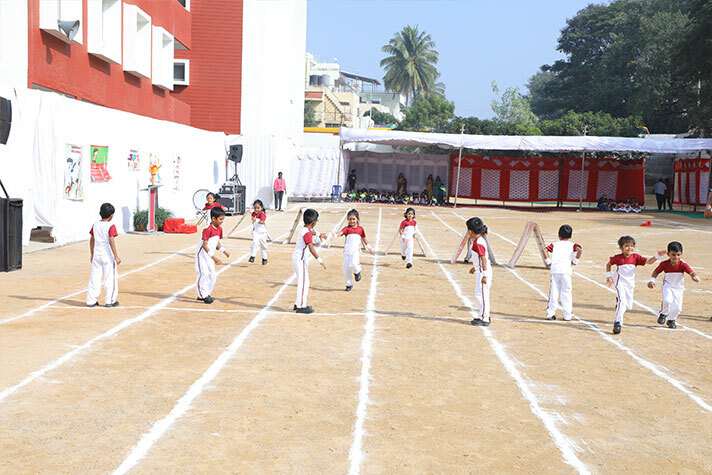 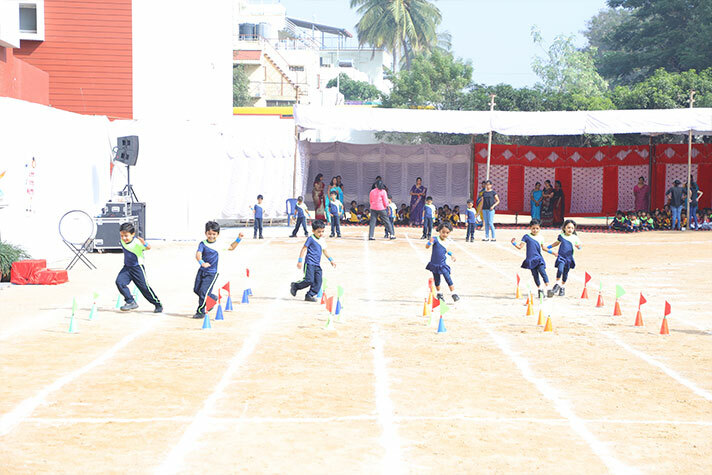 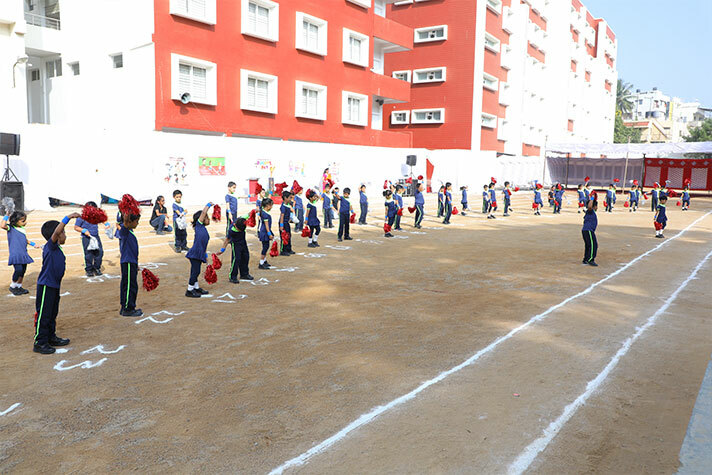 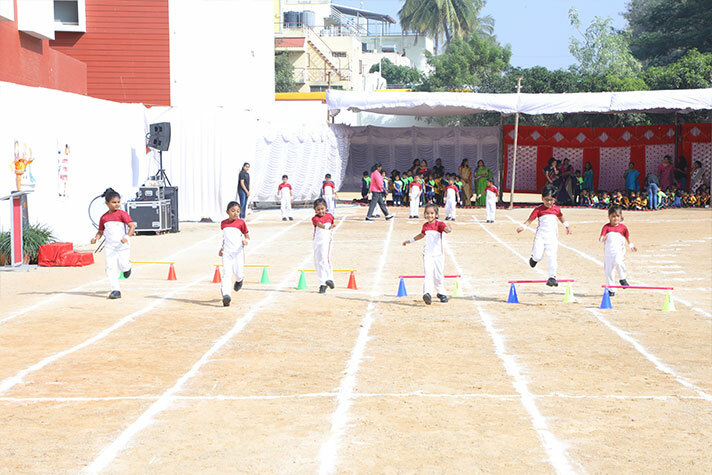 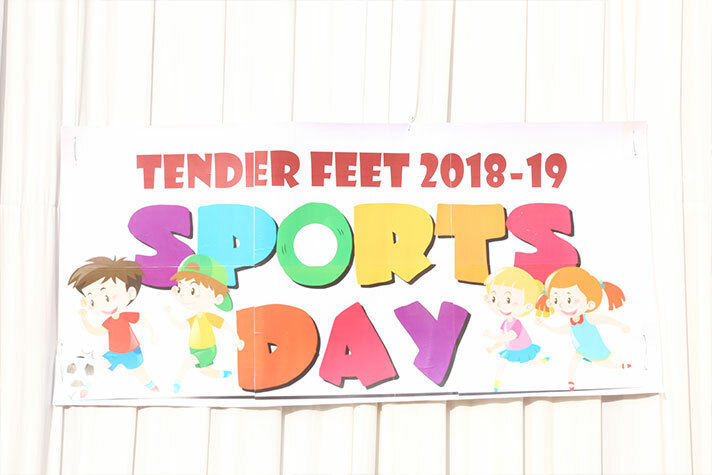 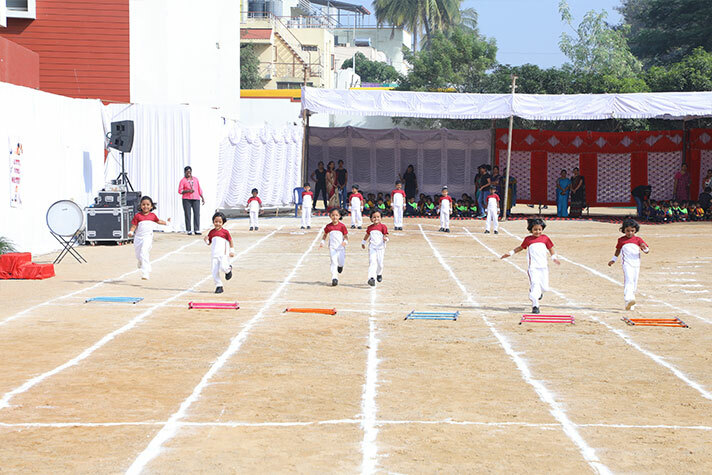 The spirit of sportsmanship came alive on 8th December, 2018, during the Kindergarten Sports Day (Tender Feet). 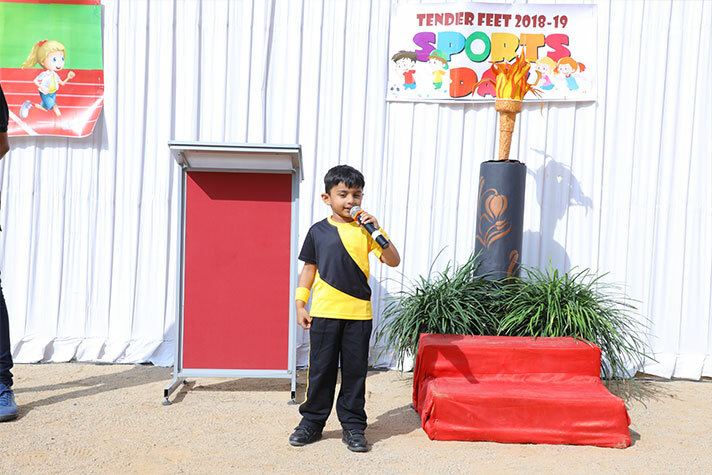 The Principal Ms. Mini Jayan, welcomed the guests and declared the meet open by passing on the ceremonial torch to the student representatives. 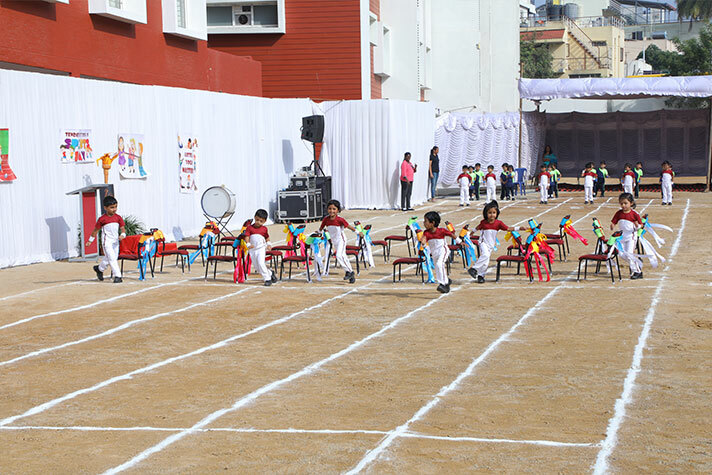 The most intriguing aspect, embellishing the event, was the splendid field displays, involving mass student participation, which splattered a riot of hues on the field. 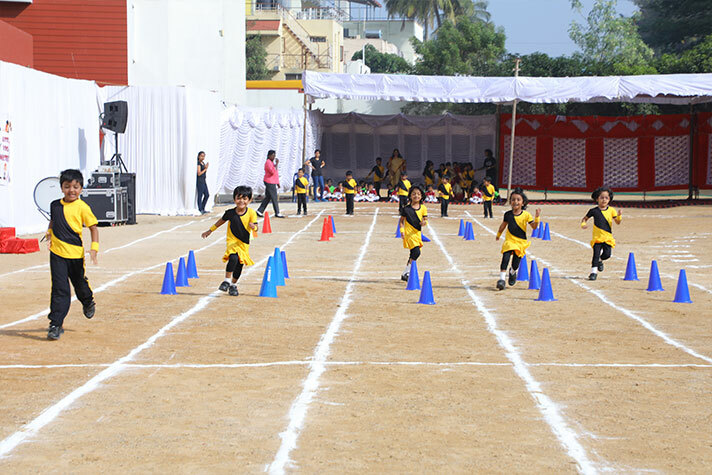 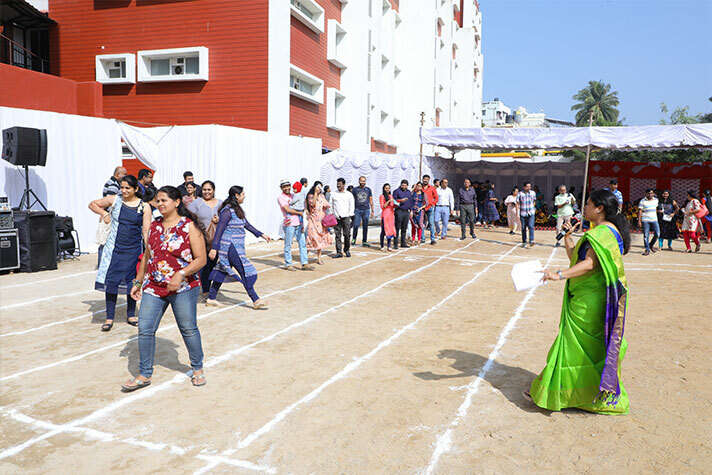 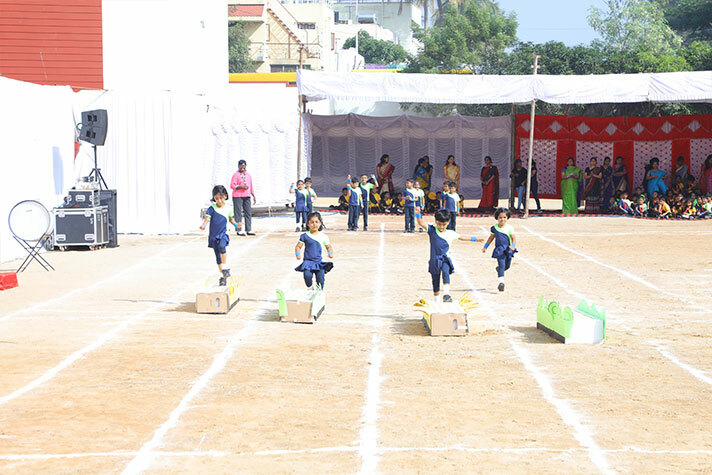 This was followed by track events including an array of engaging and innovative races. 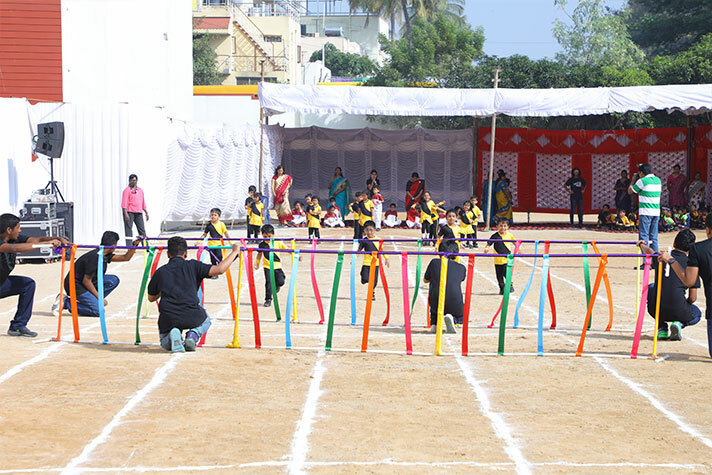 It was a delight to see the excitement with which children challenged themselves to attempt a variety of obstacle races such as The Ascender, Over the Timber, Pennant Challenge, Pylon race etc. 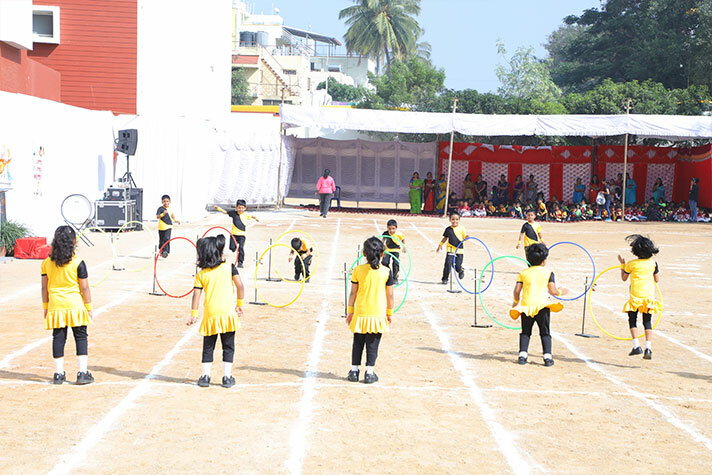 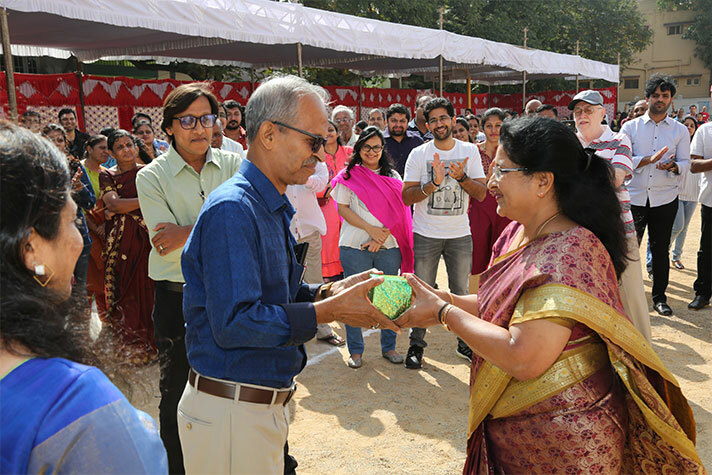 Finally, parents also joined together and participated in an event that was exhilarating. 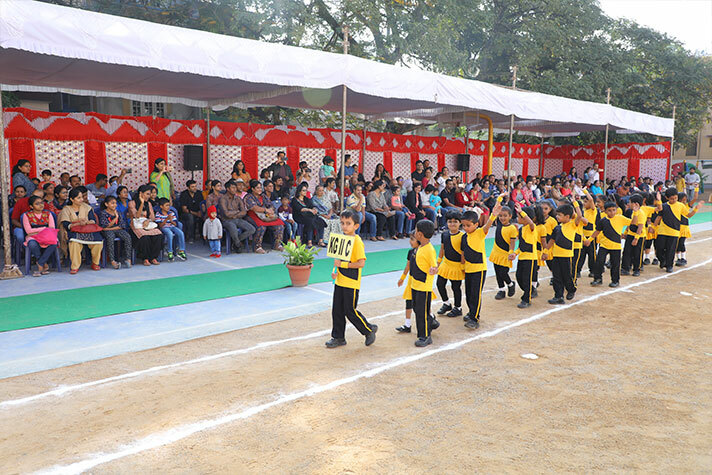 The day saw its culmination with the National Anthem. 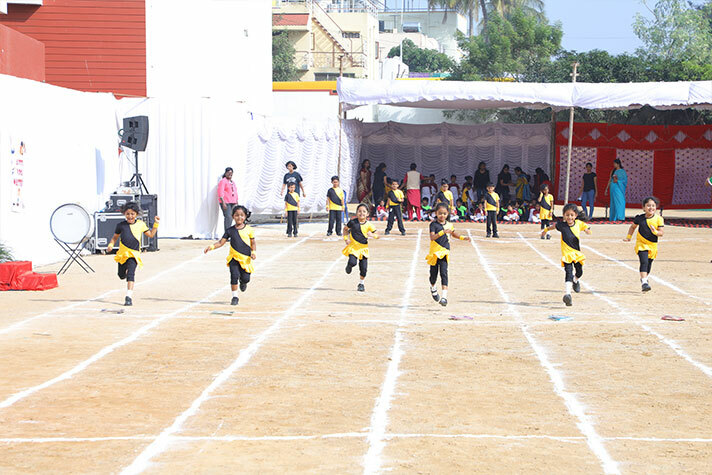 To sum up, the collective energy of the children added up to an energetic and fun filled day.